DFS is a very interesting Microsoft Server feature that give you the ability to replicate and aggregate shared folders (integrated in Windows domain too) on different sites and with differential approach about bandwidth saving feature. In case we would like to replicate same data on different location and we would be sure that only a person can modify single file we should, in this case, advice all the other users that would like to modify that file that (on different geographical server with same replica data) it can be opened only in read only mode. Traditional, old-school, writable domain controllers are deployed at ROBO sites so IT admin can resolve application performance. See Figure 1. This practice prevents authentication traffic from traversing the WAN (wide area network) and delays in response times. As a result, things look and feel just like the customer is seated at the main headquarters location. Unfortunately, this practice creates huge security vulnerabilities! Imagine if an unwanted, mischievous user gains physical or virtual access to the network, bidirectional replication would allow this guest to make changes that could severely impact the ENTIRE AD (active directory) forest. It prevents rogue applications, such as a virus, malware, spyware, from making changes to the AD schema. *For more on Read-Only domain controllers, unidirectional replication and their benefits, visit: Microsoft TechNet. Windows Server 2012 and higher versions simplify the deployment process by leveraging Server Manager instead of the deprecated DCPromo utility. 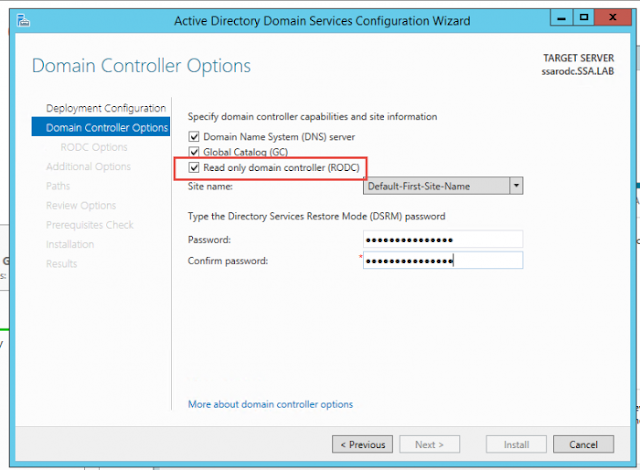 After installing the basic AD domain services, you will immediately be prompted to take additional steps if you require the server (a VM) to become a domain controller. Royal Ts is nice tool (it is not free) to have a single point to connect to server in RDP without need to open plenty of windows and overriding user and password insert every time that you connect to servers. I would like to highlight this Cloud service that is particularly good and with nice prices. An interesting alternative to Azure and any other Cloud services. About DFS I found this article (that I hope to read completely when I will have some time) that, after a quick read, seems to be very interesting. On internet there are plenty websites and application that give you opportunity to check new software release and let you download them. Every day you are prompted about new software releases and with one click button you will install that smoothly without too many user interaction. It is simple and useful at the same time. It works with a Search and Delete mode. It can be easily uninstalled using the mode "Uninstall". It's compatible with Windows XP, Vista, 7, 8, 8.1, 10 in 32 & 64 bits. How many help desk calls do you get from users asking for someone to unlock their accounts? How much time does the administrative staff spend just handling account lockout issues? Loss of productivity, frustrated users, and a huge administrative burden are just some of the inevitable results of implementing a strong password policy, which is required by security and compliance regulations. Should you just give in to user complaints, or is there a better way to keep strong security requirements and effectively resolve account lockouts at the same time? Native tools lack many features and capabilities that administrators and help desk staff need to effectively resolve account lockouts (downloadSummary: Limitations of Microsoft Account Lockout and Management Tools to learn more). Identify account lockouts in real time: Should an account lockout happen, all operators will receive an email alert with an optional link to a web-based console for quick access to account details and operations. Email alerts can be configured to be triggered only when specified accounts are locked out. Troubleshoot account lockouts: The lockout investigation engine of Netwrix Account Lockout Examiner will do its best to help you find the potential cause of account lockouts, such as mapped network drives, services and scheduled tasks running under stale credentials, disconnected remote desktop sessions, processes running under a locked account, etc. Proactively resolve account lockouts: The product allows you to unlock accounts quickly via a web-based console or even by email from your mobile device. Deal with consequences of Conficker/Downadup virus. The Freeware Edition has limited functionality but never expires. The table below summarizes features available in each edition. There is an interesting command line tool that give the ability to backup .pst files with outlook on, any locked files or opened and finally all pcs files to a different location. At the end of acticle I proceed to copy and paste relative binaries but you must take really care about O.S. version (32 bit, 64 bit and 7/8/10 or XP) and verify that visual C++ is installed in correct versioning on clients. These are main procedure that we implemented (without too much details) too centralize client .pst backups. During next weeks I am intending to create a second article and explain (without excessive details) ho to centralize real time backups on client about files that are not locked to remote share. 1. You need to create a .vbs script that memorize on each pcs .pst location and name and user name that utilize that particular pcs/laptop. (it must be executed with local user permissions). This .vbs could be executed with SCCM 2007/2012 package or with a client scheduled task that can be passed through GPO too. 2. Secondary you need to create a second .vbs that read precedent information on client on .txt file and that execute hobocopy to backing up user's .pst to remote shared folder. In this specific case you should verify if in that moment pcs is in correct lan (to avoid bandwidth saturation), utilize BITS in any case, verify with md5 if local pst changed size from the one that is already backup up on remote file server, write verbose logs. In this case you should create a second SCCM 2007/2012 package and it could run with or without user logged in (with administrative rights), infact hobocopy utilize VSS. An alternative it could be to remote execute scripts (that you should copy in a particolar folder of each pcs) utilizing psexec from a single location/server and schedule that periodically. In my opinion SCCM is great about that but you could evaluate pdq too or psexec. Here they are some useful blogs articles about these arguments. About .vbs I would prefer to do not share them but they are really easy to be implemented. vcredist-2008_x86.exe — The Visual C++ runtime redistributable, 32-bit (x86) version. Needed for the 32-bit version of hobocopy 1.0.
vcredist-2008_x64.exe — The Visual C++ runtime redistributable, 64-bit (x64) version. Needed for the 64-bit version of hobocopy 1.0. PDQ inventory and Deploy is a very poor version of SCCM and client-less at the same time. 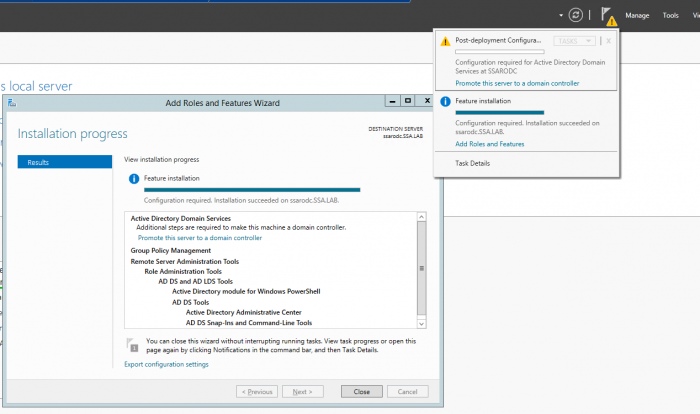 PDQ Deploy is a software deployment tool that allows admins to silently install almost any application or patch. PDQ Inventory scans and reports software, hardware, and OS configurations for your Windows network. Here they are product comparisation. Works with MSI, EXE, Batch, and more. c:\windows\CMC and take space you can follow this Microsoft Articlet ore download Fix It tool.